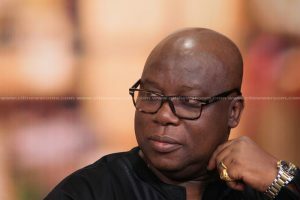 The Greater Accra Regional Chairman of the opposition National Democratic Congress (NDC), Ade Coker, has described employment under the Nation Builders’ Corps (NABCO) as unsustainable. According to him, jobs to be provided under the youth NABCO are momentary, which will not allow the youth to build a career. He stated that the youth to be employed under NABCO would go back to be jobless after a short period because the jobs NABCO is offering are permanent jobs. “We have been here before; these jobs are not sustainable jobs. How long are these youth going to have their jobs for? The youth should be offered jobs that will last for a very long time, jobs they can build their careers on. Let’s get the youth serious jobs for once.” he said. On Wednesday, 17th October President Akufo Addo would be commissioning the over 90,000 applications accepted under the NABCO programme. The programme is intended to operate seven modules designed to meet the pressing needs of the nation. The beneficiaries are supposed to be on the programme for three years. President Akufo-Addo launched the Nation Builder’s Corps as an alternative job creation opportunity for the country’s jobless graduates. The programme is expected to create 100,000 jobs in seven sectors of the economy including health, education, agriculture, and ICT. It also forms part of government’s commitment towards addressing the high unemployment in the country. The programme, which will be managed by the office of the President, will focus on alleviating shortfalls in public service delivery. The beneficiaries will be engaged for three years and they are expected to earn a monthly stipend of GH¢700 each. The post NaBCo programme is unstainable – Ade Coker appeared first on Citi Newsroom.